Ciara is still enjoying the joy of being a new mother and she’s definitely not bothered about the fact that the baby-daddy has walked out the exit door. In a new interview with E! 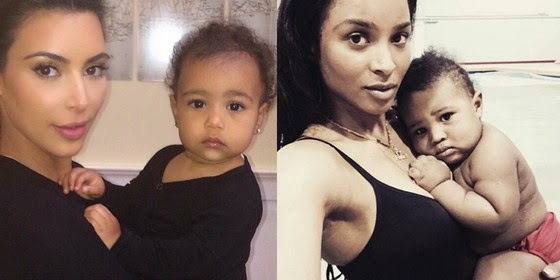 the talented dancer and singer Ciara revealed that Kim Kardashian daughter, North West is her son bestie. Ciara said her 8 month old son named, Future Zahir Wilburn and North West have enjoyed countless play dates together. What Do You Think Of Olamide’s New Look?? ?